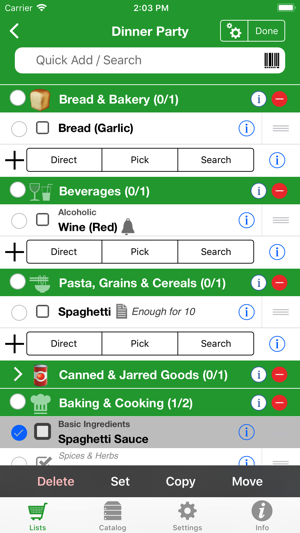 That'll never happen again with Shopping Pro, a digital grocery & shopping list that is always by your side. It's built-in iCloud auto-sync allows the entire family to share, modify and shop with a common, living list whenever and wherever they are. Shopping Pro is built on the feature-mature 7-year foundation of Packing Pro, the #1-ranking travel app featured in the App Store's "10 Essentials" & "Plan Your Vacation" promotions. Quick, simple, reliable & infinitely customizable, let Shopping Pro help you & your family save time & money by being your ever-present shopping companion. Now I'm a shopping "pro"
First got the packing pro and now the shopping pro, great pair. See my review under packing pro also. There is a slight learning curve as with all apps that are detailed but once you learn how to use it is a simple. I have learned that I can build separate shopping list and my time at the store Flows more smoothly, i.e. Aldi, Walmart, Kroger and Menards. This keeps me from jumping between list. I use the airdrop since it is easy and local and does not have to have Wifi or use your data. I will build my list on my iPad the airdrop it to my iPhone. I'm still working on transferring an item from one list to another list. 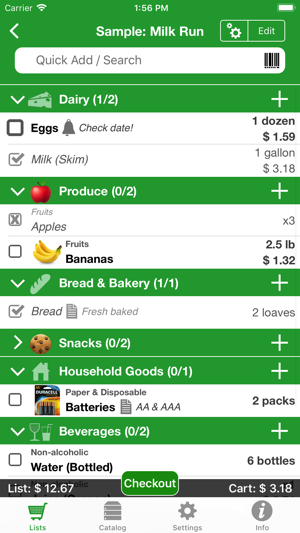 Bottom lime, you can now shop like s "Pro"
Update: live the new function that allows you to MOVE an item from one shopping list to another and to place it in the category you wish. So now I can move an item from my Aldi list to my Kroger list if I can not find it at Aldi. Love this new feature. 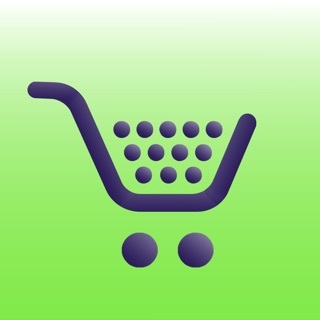 Shopping Pro is the big gun of shopping list apps. 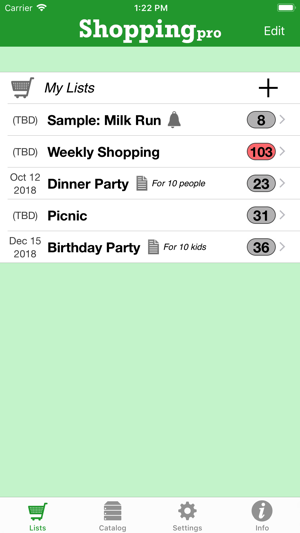 For people who just want simple one-off lists, this would be overkill, but for people who appreciate not having to re-create their grocery shopping lists every time, Shopping Pro is a godsend. 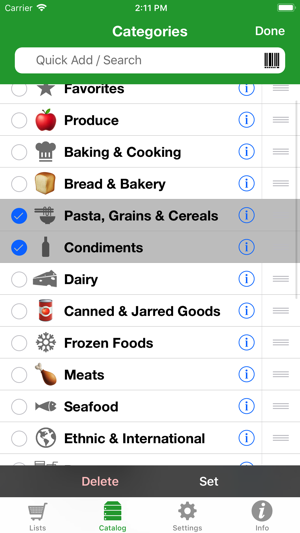 By having a customizable master catalog of grocery categories and items, I’m able to have a customized shopping list for every grocery store that I go to, right down to having the categories sequenced in the order in which I go through the departments of any individual store. It simply doesn’t get any better than this. 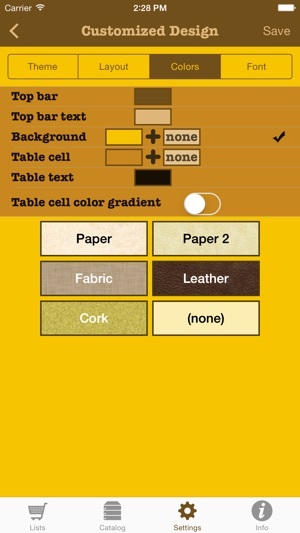 If you travel even occasionally, be sure to check out Packing Pro, which does the same thing for organizing packing. 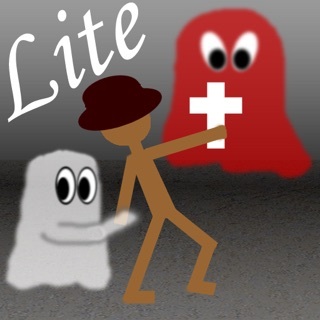 I really like this app. Use it all the time. Like that you can create master lists which I am starting to do with the regular price for each of the stores I shop at. Also like the ability to share the lists. One request would be a spot to add the store option to the list with the ability to sort by store so that you could have a sublist to shop from. Right now I place the prices for each store in the notes area which helps but can’t always see all the notes. Again creating a sublist within your list would save time. Another item to add would be a place to add isle location.